Allegations that Alberto Salazar, the most powerful coach in U.S. track, has violated the sport’s medical and anti-doping rules intensified this week with additional runners coming forward and Mo Farah, his most-successful athlete, demanding answers. An investigation by ProPublica and the BBC last week detailed the claims of top athletes and others who worked with Salazar at the Nike-funded Oregon Project that he experimented with the well-known doping aid testosterone — including using his son as a guinea pig to determine how much would trigger an anti-doping test; that he manipulated the therapeutic use exemption system that allows athletes to use medical treatments that are otherwise restricted; and that he gave runners prescription drugs they either didn’t need or weren’t prescribed to gain a competitive advantage. Since the investigation was published, three more former members of the Oregon Project have contacted ProPublica, bringing to 17 the number of athletes and Oregon Project staffers who have described to ProPublica and the BBC what they feel was inappropriate prescription drug use orchestrated by Salazar. Most declined to speak publicly because of the power Salazar and Nike hold in U.S. track. Salazar did not respond immediately to an email seeking comment. Among the new allegations, one runner recalled being tested four times in a matter of months for thyroid function — despite a lack of any symptoms — until getting a result that, while still well within the normal range, was deemed sub-optimal. The runner recounted finally getting a prescription for the thyroid hormone drug Cytomel. The story has provoked a barrage of news stories in the U.K., where track has much broader support, reporting every detail and quoting prominent athletes calling on British track star Farah to distance himself from Salazar, who coached him to two gold medals at the London Olympics. Neither ProPublica nor the BBC reported any allegations against Farah, but he pulled out of his next race — reportedly forgoing an appearance fee of about $115,000 — citing emotional fatigue from media coverage. “You guys are killing me,” he told a media throng Saturday at a press conference in London. 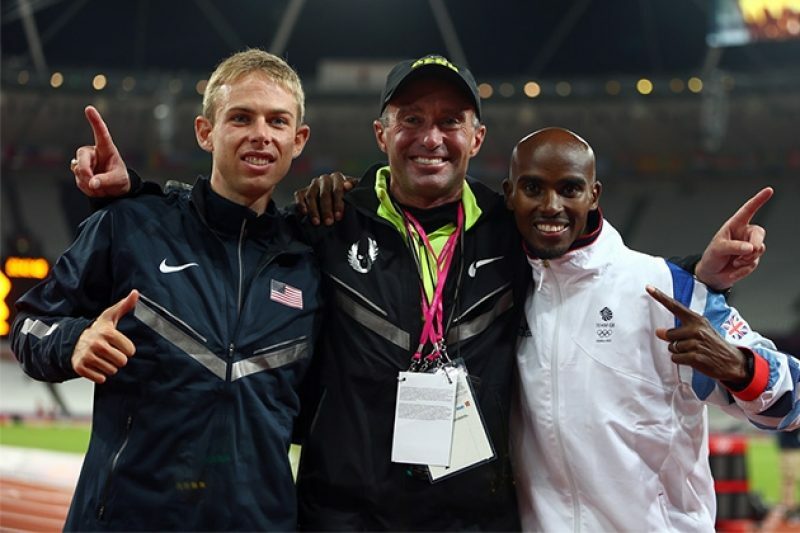 Farah and Salazar’s long-time protégé, Galen Rupp, won the gold and silver respectively in the 10K at the London Olympics in 2012. Farah also won gold in the 5K, and vaulted to national icon status. As part of its story last week, ProPublica and the BBC reported that Salazar had been the coach of U.S. middle-distance star Mary Decker Slaney when an anti-doping test she took in June 1996 at the Olympic trials showed an unusual testosterone profile, and ultimately led to her being suspended by the IAAF, track and field’s international governing body. In his 2012 memoir, “14 Minutes: A Running Legend’s Life and Death and Life,” Salazar wrote: "I also coached my good friend Mary Slaney, the American middle-distance legend, at the end of her career.” As the Guardian reported after the press conference, Salazar was identified in numerous media accounts as Slaney’s coach the month before she tested positive, the month she tested positive, as well as in subsequent months after she tested positive. A former Oregon Project athlete who spoke with ProPublica and the BBC this week described Salazar acting as both a physician and a pharmacy of sorts, doling out prescription drugs. Another former Oregon Project athlete said Salazar would hand out the prescription painkiller Celebrex. Adam Goucher, a former Oregon Project runner who — along with his wife, former Oregon Project runner Kara Goucher — was among those making allegations against Salazar in the initial ProPublica and BBC stories said that Salazar “had his own little pharmacy, always … If you had something that was bothering you — ‘Here start taking some Celebrex’.” Salazar, Goucher added, is “big on medicine. He’ll give you a pill to help you fall asleep, give you a pill to help you go to the bathroom.” John Cook, who coached at the Oregon Project from 2003 to 2005, told Runner’s World that he was “not surprised” at the allegations regarding Salazar. In an interview with the BBC, he said runners “were getting [therapeutic use exemptions] left and right.” When asked by the BBC whether he witnessed the use of prednisone or testosterone, Cook replied, “I really don’t want to get into that.” Cook later clarified that he has no knowledge of testosterone use at the Oregon Project. Kara Goucher previously told ProPublica and the BBC that Salazar discussed with her how he coached Rupp to fake symptoms of dehydration in order to obtain an IV before an important race. “They wanted the IV for whatever reason,” Goucher says, “to make Galen feel better, whatever, and they were manipulating the system to get it.” Salazar and Rupp did not respond to questions about the IV. Since that initial report, another former member of the Oregon Project told ProPublica that Salazar had described openly the symptoms that Rupp knew to fake in order to obtain a pre-race IV. 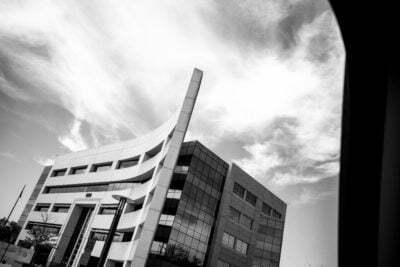 Among the prescriptions the athletes said Salazar often pushed them to obtain were various asthma medications, from albuterol inhalers to corticosteroids. 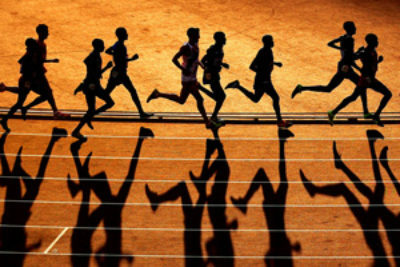 To use some asthma drugs legally, World Anti-Doping Agency rules require athletes to have a documented condition and obtain a waiver. Two former Oregon Project athletes described being told by Salazar to do a hard workout, and then run up the stairs to a doctor’s office to take an asthma test. “You sprint around the track, sprint through downtown Portland, and sprint up the stairs and go do the test,” the runner said. The athlete added that Salazar often had an inhaler to give out to runners who still didn’t qualify. “If you hadn’t failed the asthma test yet,” the runner said, “he’d say, ‘Here’s an inhaler, use it until we get you tested’.” There is some evidence that albuterol inhalers acutely improve muscle performance, but no evidence that they improve aerobic endurance in non-asthmatic athletes. As Magness grew more disillusioned with the Oregon Project, his relationship with Salazar became less collegial. According to another email Magness shared with ProPublica and the BBC, Salazar disagreed with an altitude-training decision Magness made. At the close of the email Salazar warned Magness: “We really want to give you a positive recommendation to wherever you apply for collegiate positions but you are going to make it very hard for [Nike director of global athletics John Capriotti], Ben and I to do so when a Nike school Athletic Director calls us to ask about you if you go this route. Think this over very carefully.” A “Nike school” typically refers to a college that has an apparel sponsorship deal with Nike. In a third email — subject line “Celebrex” and copied to Magness — Salazar tells his wife that he needs her to send the pills overnight: “You'll have to put them spread out in a magazine and just say documents. I'll talk to you tomorrow. luv u! Alberto.” It’s unclear who the pills were for. Magness left in 2012 by mutual agreement, but he wasn’t the only coach who had concerns with the use of prescription medications. According to former Oregon Project athletes, prominent strength and conditioning coach Vern Gambetta was hired by Salazar to train runners in early 2005. Gambetta had worked in track and field as well as with teams including the Chicago Bulls and New York Mets. According to the athletes, Gambetta was fired later that year after raising concerns about the handling of prescription drugs used by Rupp. Adam Goucher said that one day Gambetta was just gone from the team, and Salazar convened a meeting of the athletes to let them know Gambetta had had a nervous breakdown and would not be returning. Gambetta would not comment on his departure from the Oregon Project, but told ProPublica that he has never had a nervous breakdown. ProPublica and the BBC sent Salazar, Rupp and Farah extensive lists of questions nearly a month prior to the publication of the initial stories. In an emailed response, Salazar said he has never endorsed the use of any performance enhancing drug and has “never coached an athlete to manipulate testing procedures or undermine the rules that govern our sport.” But he did not address several of the allegations made by former athletes and staffers, including that he was having his son Alex experiment with testosterone gel to see how much would cause a positive test; that he sent Magness unidentified pills for Rupp that were taped into a hollowed-out compartment of a book; and that he took pills from Rupp’s thyroid hormone prescription to give to Kara Goucher.